I’ve only had four mothers’ days as a mom…but this was by far the best. The kids have been great this weekend. Sleeping well, behaving well, eating like it’s going out of style – they’ve been perfect company. 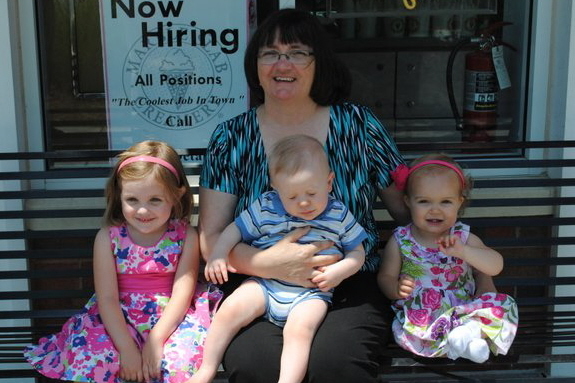 My sister and niece came to town yesterday and we all got to hang out with Grammy and Pops yesterday afternoon. Last night Russ brought home some wine AND oreo pie. THEN I woke up to flowers on the kitchen table. THEN I got to work to find more flowers on my desk. I think Russ gets an A+ this year. THEN we had a good morning at church surrounded by lots of great folks. Taylor made me a card in Sunday school with 1004 stickers. That’s true love in her world. THEN we went out to lunch at one of our favorite spots. 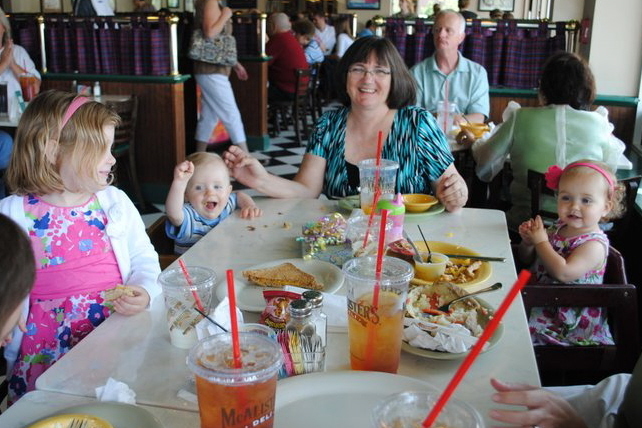 What’s a mother’s day without a chaotic lunch with all three grandkids? HAHAHA – this is my favorite. Happy Mother’s Day to us. It’s time for more wine and oreo pie. 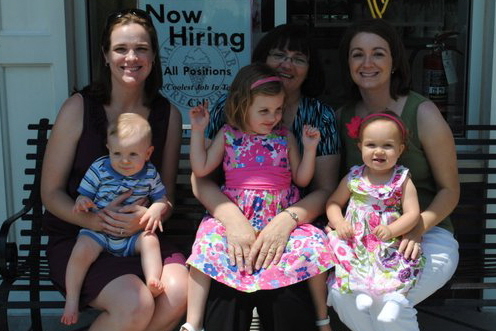 I think the best part of the all the pictures in the Now Hiring sign in the background! Makes you think the type of job you all have as mothers.